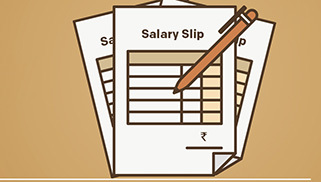 What is Salary Slip Format for Pvt Ltd Company? Pay slip format mostly has the same structure except that the components that may be considered varies from company to company based on their policies. The format of the pay slip has importance as the pay slip itself has for an employee. As it’s the proof to calculate what the employee is offered in the company. 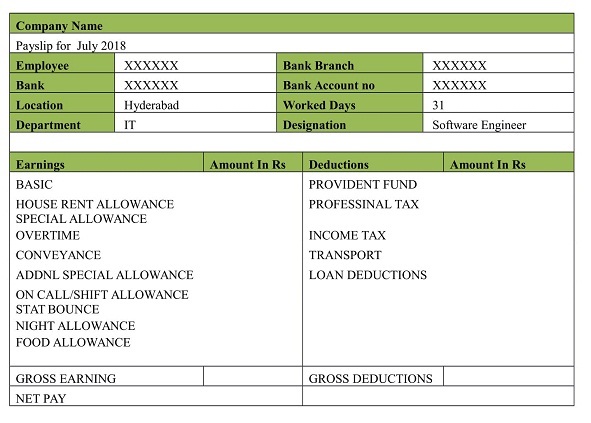 Format of Salary slip may sometimes changes but however the presentation is the final figures alone matters to an employee along with what components are being put in. More importantly private limited can have their own form of salary slip that meets the industry standards. So before further proceeding to have a look of the Salary slip format for a Private Limited company let’s move on to get some basic idea of the main and mostly seen components in any monthly salary slip format. The whole components of the salary slip fall in any one of the 2 classifications i.e., Earnings or income and deductions. All that part of the salary that fall under incomes or gains or allowances are usually put on to the left side of the doc, whereas all the different possible deductions are held to the right side. Basic Salary, DA, HRA, CA, LTA, Medical allowance, Child education allowance, special allowances if any, etc fall under Earnings part. Components like PF, ESI, professional tax etc are calculated as deductions. 0 Comments on What is Salary Slip Format for Pvt Ltd Company?